I once sent this mail out to a few (emphasis on few) friends. It's deep. no doubt about that. But it's real and enlightening as well. especially for those who take a few to check it out. Anyway. If you know me, you know i'm into some pretty heavy thinking. One of the friends i sent this to asked that I post it here on my blog for others to benifit from. So, here it is. Understanding fractal geometry and complexity theory is how I came to understand and embrace the teachings of Christ. Jesus was teaching most of what is found in these sciences over 2000 years ago. Before the words for them even existed. Even before that that, the Egyptians were knowledgeable of it. The kabala is literally based on this. We didn't understand it till roughly 25 years ago. Now it's common knowledge that no one but the wise man wants to learn. These ideas manifest in our every day lives. Affect us at every turn. Armed with the full knowledge of this you can literally predict the future with much certainty. Believe me when I say those in power know and use this system. The movie "A beautiful mind" was based on the use of complexity science by a savant schizophrenic named John Nash. He won a Nobel Prize for his subsequent equilibrium theory. If I say these are the secrets of the universe I'd not be jesting. It's hidden in plain site and available to all. The best place to keep a secret. Unfortunately it's unknown to most and ignored by even more. There is no science or philosophy that has not been affected by this knowledge. 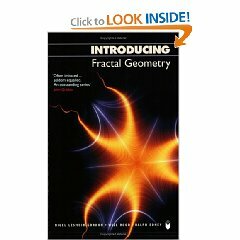 Since Benoit Mandlebrot discovered fractal geometry 30 years ago, many a discipline has emerged with new insight. Complexity science, fractal geometry & Chaos theory have given birth to these and helped define even more. 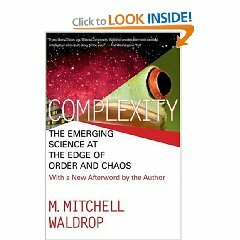 The infamous "butterfly theory' is based on complexity theory. owes its birth to fractal geometry. Stapp called Bell's Theorem "the most profound discovery of science. ... Why? Because BELL'S THEOREM PROVES PHYSICAL REALITY MUST BE NON-LOCAL.. Exactly what Jesus taught! I write this to and for you because I believe that you are among the few who can grasp this knowledge and apply it to your life. That faith of a mustard seed, John 1:1, Revelations, the 10 commandments. All of these are based on THIS science. 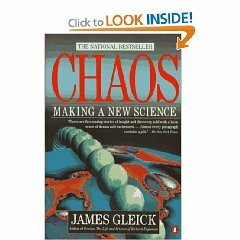 How slight perterbances in initial conditions can create infinite changes across the whole dynamic system. How strange attractors attract bifurcated systems. For the first time in human history we can actually study the concept of infinity. With fractal movies we can even see what forever looks like. I know it sounds technogeeky but I can't express how important this information is. Fractal geometry completely disproves all of our laws of physics. Both Newtonian laws and Einsteins theory of special relativity. It made the cover of most science magazines and yet we still plod on as if everything remains the same. In 1982 George Hammond, a physicist, used chaos and complexity theory to prove the existence of God. It's no wonder that fractal art is called "the thumbprint of God"
Without it we never would have unraveled DNA coding. A form of self-organizing fractals at work and the fulfillment of a prophesy.. But beyond all of that. Just a basic understanding of these works will change your perspective on life. Theology and people. It will answer questions like Who are we? Why are we here? Where do we come from? Where are we going? Are we alone in the universe? What is love? What is life? How do I think? If you want these answers and more, start reading. As I said before. Of all the people I know, only a handful would have the patience and willingness to pursue something so in depth. I really believe your one of them. let alone explore it further together. I'd feared that the decades I'd spent learning it was wasted. What good is knowing something so important if there's no one to share it with? You can either be a prophet or a hermit but not both. I'm tired of being a hermit. I see the patterns the painters paint. (excerpt from Blue) Another of my spoken word poems. I'm tired of acting like I don't. Many are waking up to this information now. Even more will awaken after "What The Bleep Do We Know!?TM" . this movie came out in January 05. The four Vedas explained it. The New Testament gave it life. And because of him we have no worries. Like I've said before. We only needed one. And the Lord was the one we needed. The only one we ever needed. Faith comes easy when you have proof. I envy those who believe on faith alone. I never did. This is a lot to take in I know. I'm sorry if I went on to long. It's something that has been haunting me for years. All I can hope for is a kindred spirit in search of truth to do some personal research and come to his/her own conclusions. After that... we'll have a hell of a lot to talk about and a whole lot of poetry to write.